SELinux is a security extension of Fedora that should provide extended security. 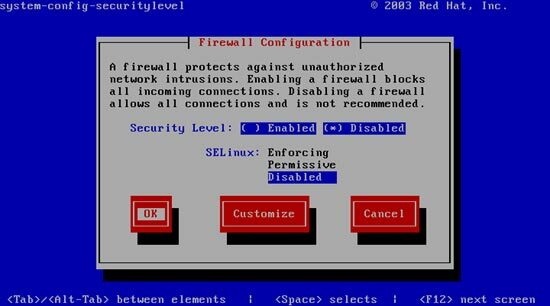 In my opinion you don't need it to configure a secure system, and it usually causes more problems than advantages (think of it after you have done a week of trouble-shooting because some service wasn't working as expected, and then you find out that everything was ok, only SELinux was causing the problem). Therefore I disable it, too (this is a must if you want to install ISPConfig later on).